Sheikh Sabah will travel to Washington as he seeks to resolve months-old dispute between Qatar and its neighbours. 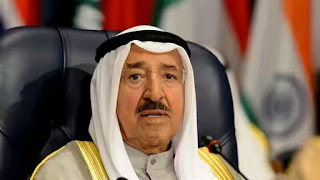 The emir of Kuwait will hold talks with US President Donald Trump in Washington, DC next week, according to the Kuwaiti state media, as a three-month-old diplomatic crisis splits the Gulf. KUNA news agency said on Thursday that Sheikh Sabah Al Ahmad Al Sabah would depart for the United States on Friday and the Trump meeting was scheduled for September 7.